The demographic picture of the homeless has shifted markedly over the last 20 years, with a marked increase in the average age of homeless persons. Currently, nearly 1/3 of the homeless are over the age 0f 50. A remarkable study paints a concerning portrait of the struggles faced by the aging homeless. It was led by Geriatrician Rebecca Brown who conducted the study while a Geriatrics Fellow at Harvard Medical School. Dr. Brown is currently our colleague in the UCSF Geriatrics Division. The senior author was Harvard Senior Life Geriatrician, Dr. Susan Mitchell. The study was published in the Journal Of General Internal Medicine. 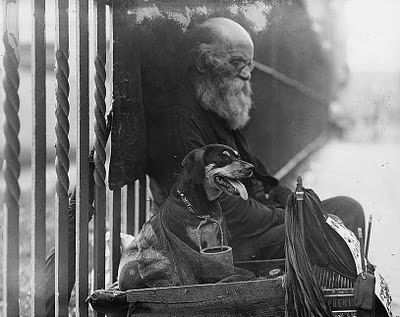 This study examined prevalence of Geriatric Syndromes in the homeless elders. Geriatrics syndromes are problems affecting daily functioning and independence that typically occur in seniors. This includes basic activities of daily living like the ability to get dressed and cognitive functioning. The study showed strikingly high rates of "Geriatric problems" in persons much younger than typical Geriatric patients. To get a sense of how bad these levels of impairment are, Brown compared the prevalence of these problems to a typical group of older persons with an average age of 78. The comparison is remarkable because it showed that older homeless have considerably greater difficulty with functional status than persons more than 20 years older. Life on the street is hard enough, but older homeless are facing homeless with markedly diminished functional capacity. In her editorial, Dr. Kushel notes the value of supportive housing in helping care for the aging homeless. Many of the aging homeless, will need nursing home care as their functioning further deteriorates. Kushel emphasizes that if the social and moral imperative is not motivation enough, the rapidly escalating pubic costs of their long term care should provide a powerful economic motivation to address the needs of the aging homeless. 25 years ago Downstate psychiatrist Carl Cohen wrote about this issue. Made me think about similarities between care of the homeless and Homebound. I'll, hidden, and no one wants to touch them.